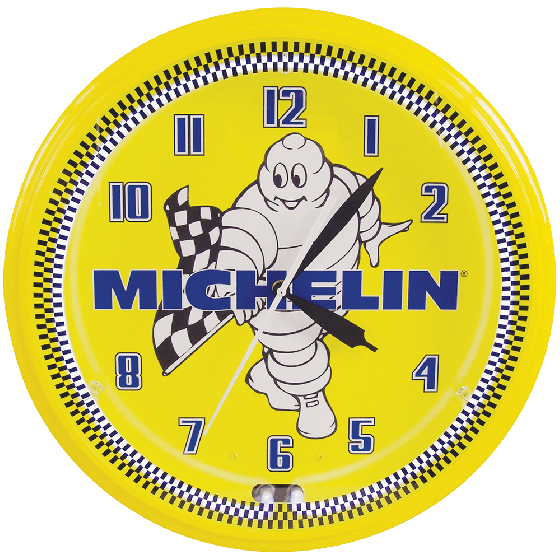 This is a Michelin vintage style neon Logo Clock with the original advertising artwork “Mr. Bib Waving Checkered Flag”. The reproduction vintage advertising clocks look great hanging in the den, garage, office or showroom. Large, easy-to-read 20 inch diameter clocks feature aluminum housings with a glass cover to protect the face. Pull chain offers the option to have the neon on or off while the clock keeps perfect time. Seven foot cord allows easy plug in to any household current. 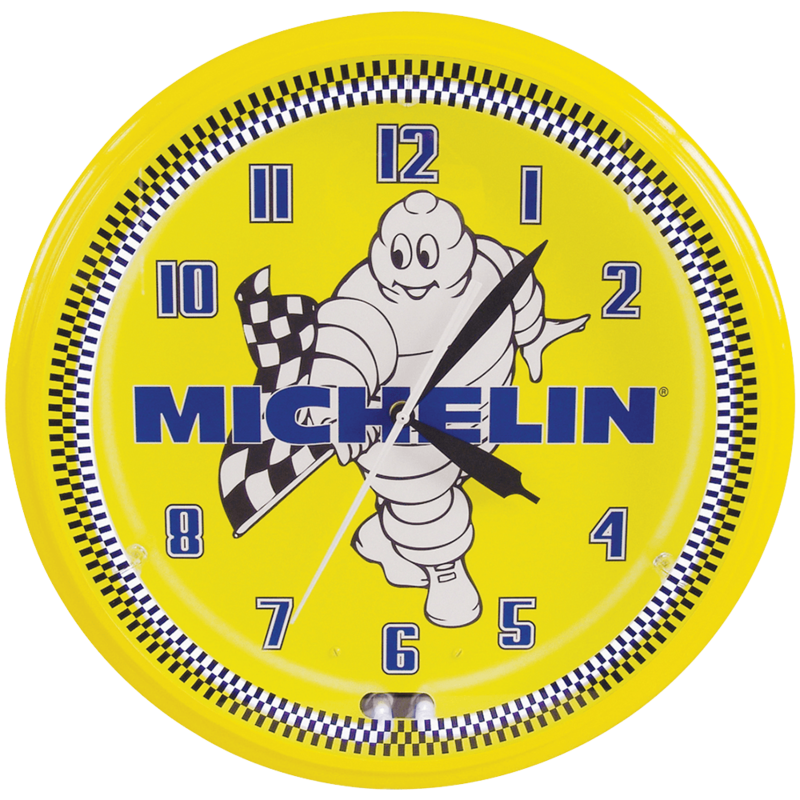 Choose from four authentic Michelin designs that depict Mr. Bib in a variety of famous poses. It's more than just a clock, it's a piece of art! Made in the USA.